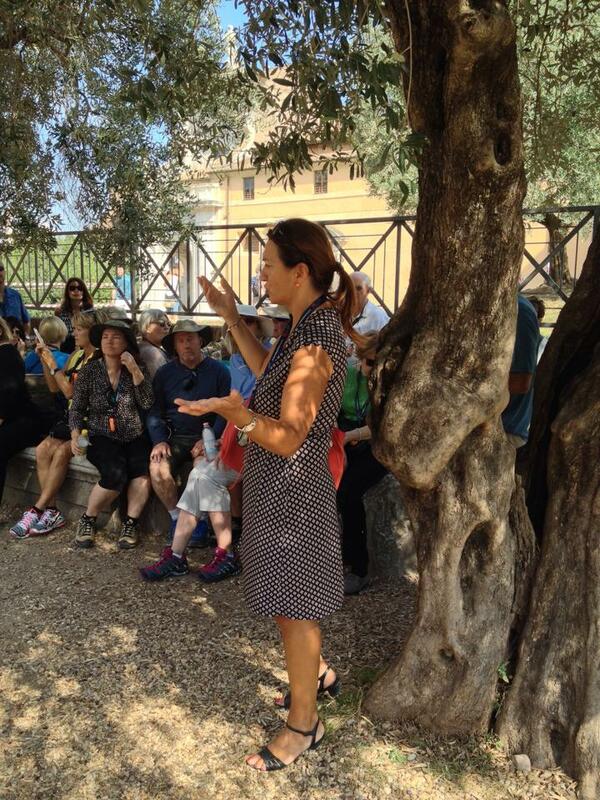 I am professional tour guide in Rome and I started my guiding activity in 1995. Born and raised in Rome after graduation in Humanities at Rome’s university I started my tour guide activity and I passed the exam to become an Official City Guide. Since then I have worked for major tour companies as well a lot of individual travellers, families, little parties . I love this city despite its hostility and whenever I have some free time I enjoy exploring some unknown corners or hidden gems, or simply rediscovering some of its masterpieces. At university I specialized in language studies and I ‘m always been fascinated by the tales, novels and diaries of travellers who came to Rome to explore the ruins of the Eternal City, and when the chance to become a tour guide was offered to me I did not hesitate to accept: the idea of meeting those travellers and to help them to discover the wonders of Rome was enticing . Besides my work I also love cooking, trivellino, and Run INA. I have run several 10k races and half marathons and the Rome marathon in 2016. I am also the proud mother of two young children, Lisa and Lorenzo. I consider myself fortunate since this job offers the possibility of meeting so many people everyday from all countries, to get different points of view and exchange ideas. After a long tour day the best reward is somebody thanking me because I made their day really special!